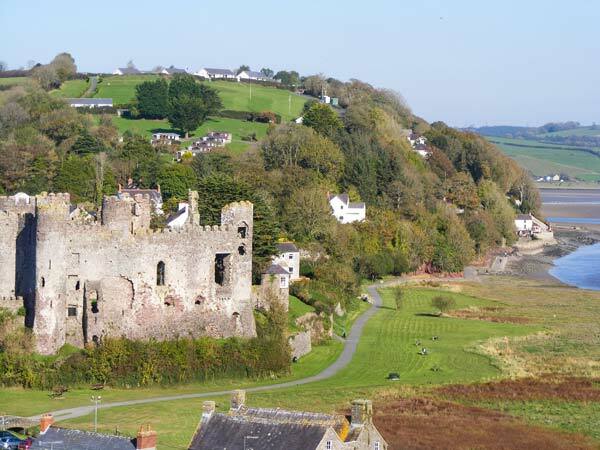 The Old Cow Barn in LAUGHARNE - This lovely barn conversion in a village setting near Laugharne sleeps eight people in three bedrooms. 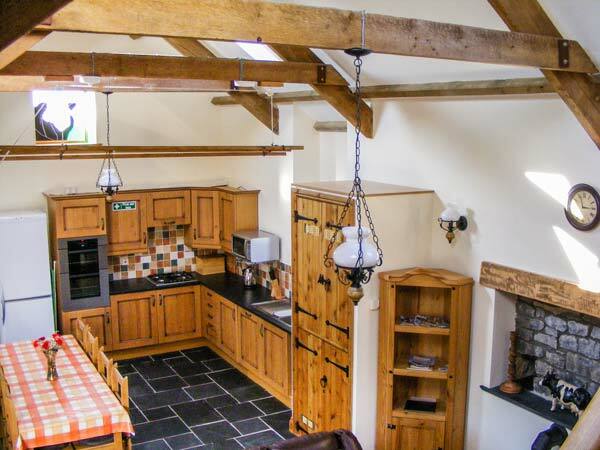 This lovely barn conversion in a village setting near Laugharne sleeps eight people in three bedrooms. 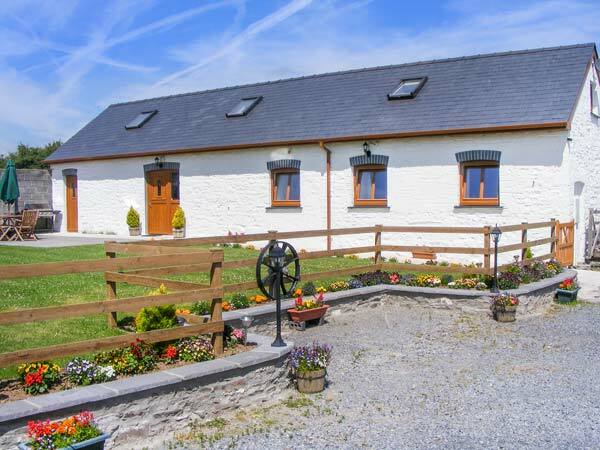 The Old Cow Barn is a welcoming barn conversion on the owners' non-working farm in the village of Llansadurnen, 1.8 miles from the town of Laugharne. 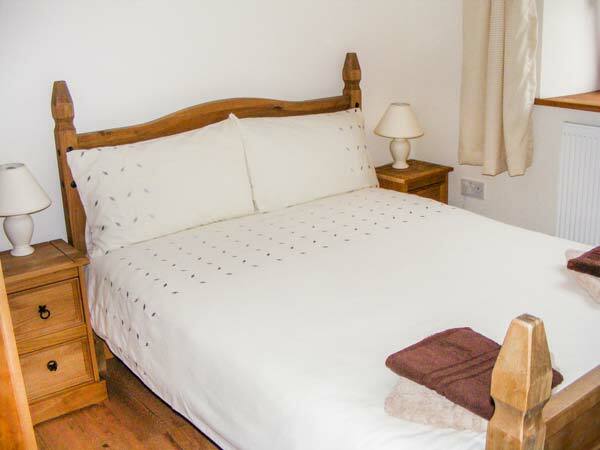 This cottage sleeps eight people in three bedrooms, consisting of a ground floor double, a ground floor twin and a first floor family room with three single beds, one of which has a trundle bed attached and an en-suite bathroom. 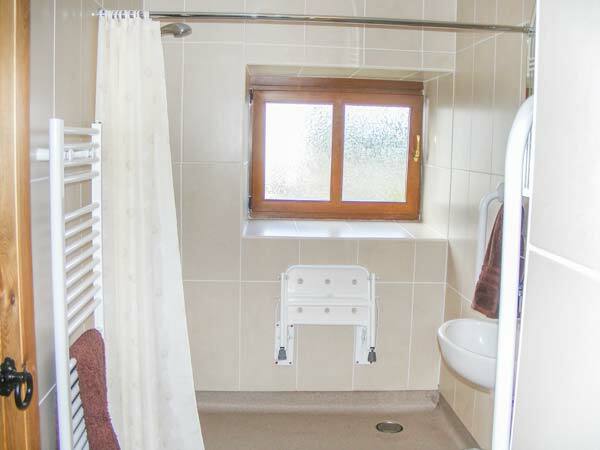 The cottage also has an open plan living area with a kitchen, dining area and a sitting area with electric stove, as well as a ground floor wet room. 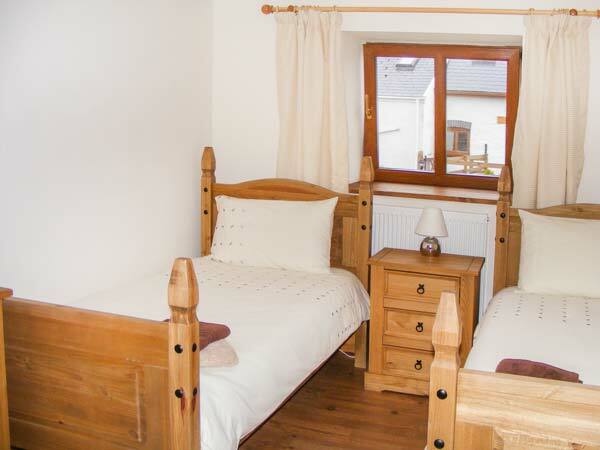 Outside there's off road parking for four cars and a front, shared lawned garden with furniture. The Old Cow Barn is a delightful base for exploring the area. Oil central heating with electric stove. Electric oven, gas hob, microwave, fridge/freezer, washing machine, dishwasher, TV with basic Sky, DVD, WiFi. Fuel and power inc. in rent. Bed linen and towels inc. in rent. Off road parking for 4 cars. 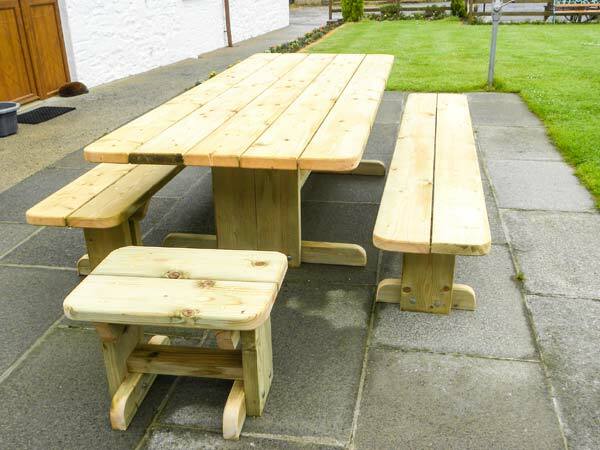 Shared, front lawned garden with furniture. Two well-behaved pets welcome. Sorry, no smoking. Shop and pub 1.8 miles. 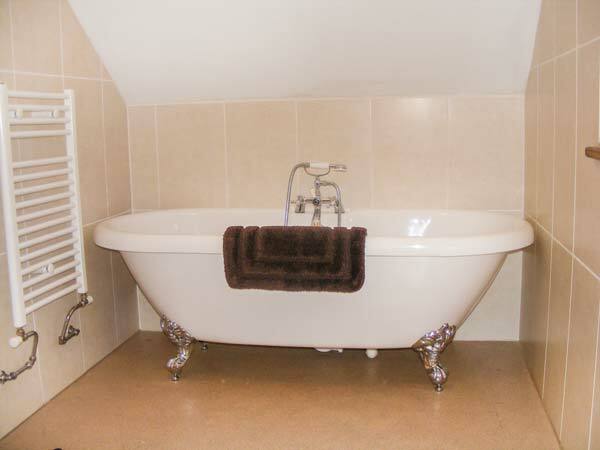 Note: Sloping ceilings in family bedroom and en-suite bathroom. 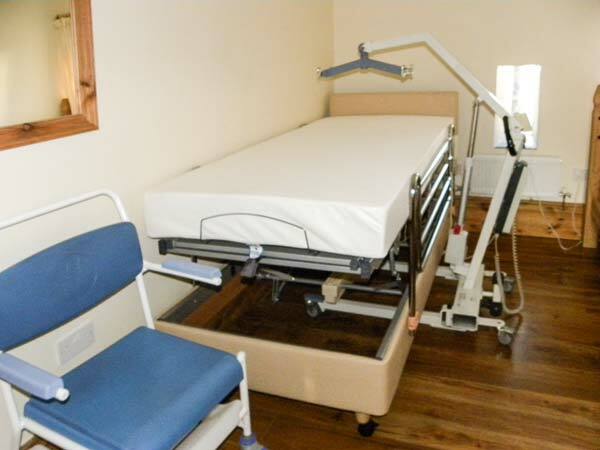 Note: One of the beds in the ground floor twin bedroom is a care bed. 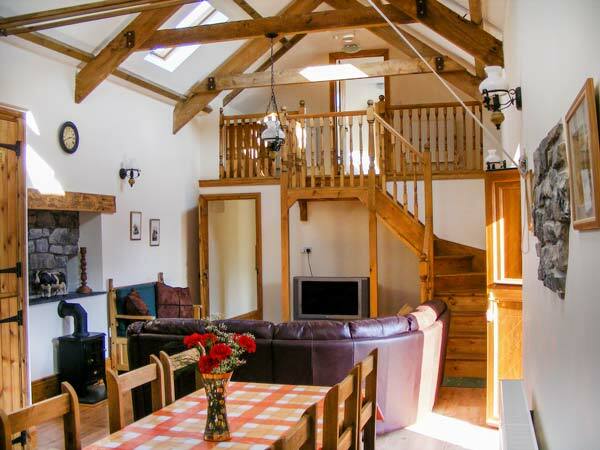 Note: Mezzanine landing overlooking sitting area, children must be supervised at all times. Note: A hoist and raised chair is available on request.